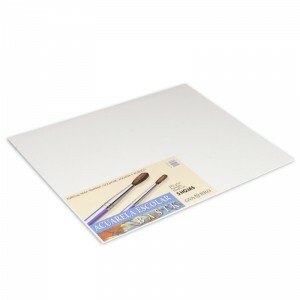 Bright white watercolour paper with 2 deckle edges and a watermark. Made on a cylinder mould machine, Guarro offers an excellent quality and resistance. High cotton rag content (60%), gelatined sized, offering an excellent absorption and a good colour rendering. This product is unavailable in Australia.